The house consists of a reception area, with a beautiful view of the established courtyard garden, complete with three fountains. Downstairs consists of a pajama lounge, and three bedrooms, bathrooms, dressing room, closet and a secret room. 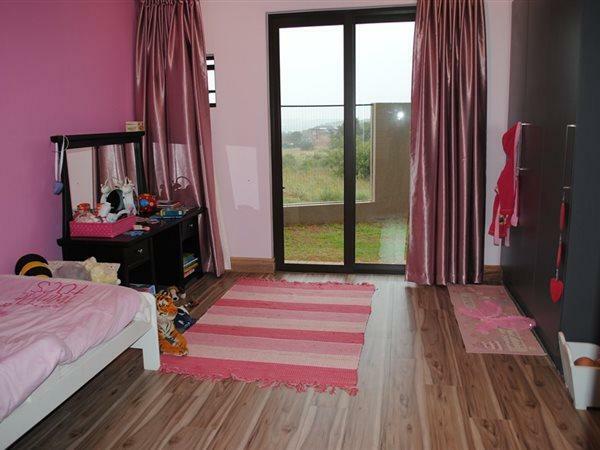 The pajama lounge has underfloor heating, storage space underneath the staircase and has a DSTV point. The main bedroom, complete with en suite full bathroom, lavish dressing room, closet and access to a secret room which can be converted into a cellar. 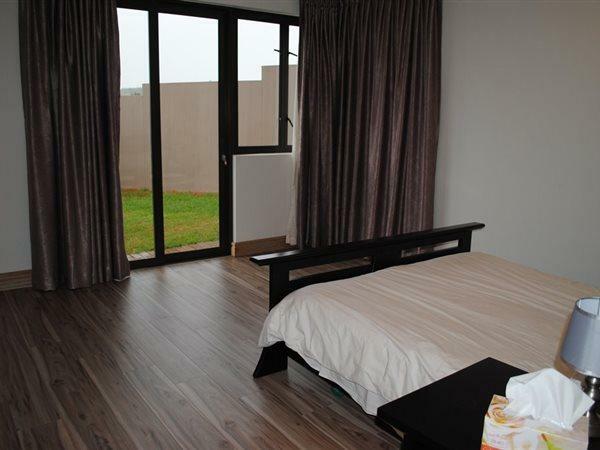 The two remaining sizeable bedrooms are big enough to hold a queen size bed and study desks, and are wonderfully completed with built in-closets and en-suite full bathrooms. 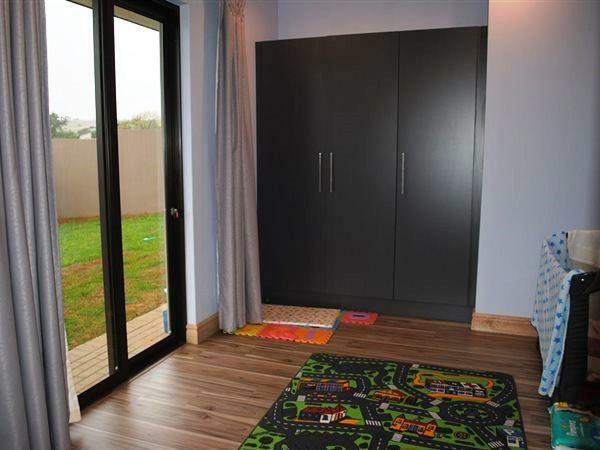 All of the rooms have their own sliding doors, to access the garden. Upstairs consists of a living area, dining area, a huge balcony, kitchen and scullery, guest (or study) room, full guest bathroom. 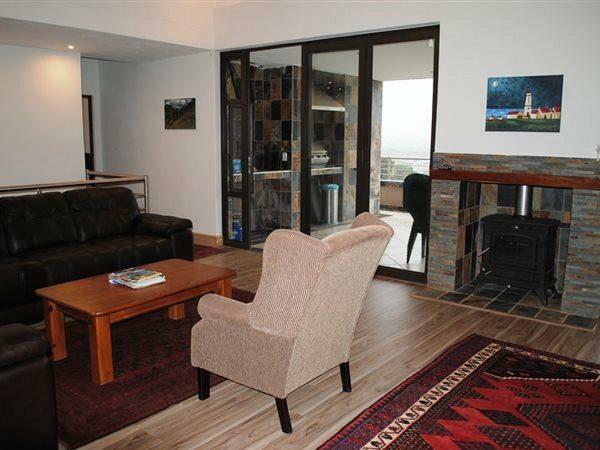 It offers beautiful views across The Hills and Mooikloof. 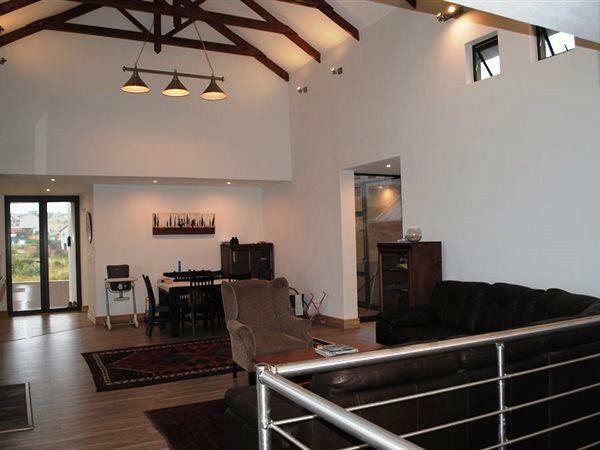 The open plan living and dining area are well rounded with a beautiful fire place and exposed roof trusses. The living area also has place for 4 speaker points, and 2 dstv points. 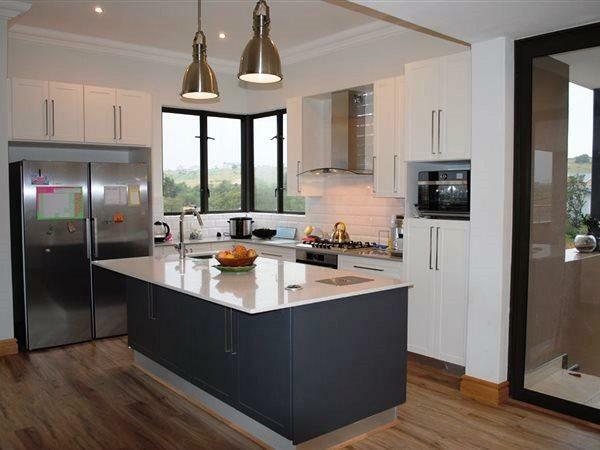 The kitchen consists of top of the range Bosch Gas Hob and programmable oven, extractor, an island, lots of storage and soft closing fittings. The scullery has space for a dish washer, washing machine and dryer, and also adds additional storage. 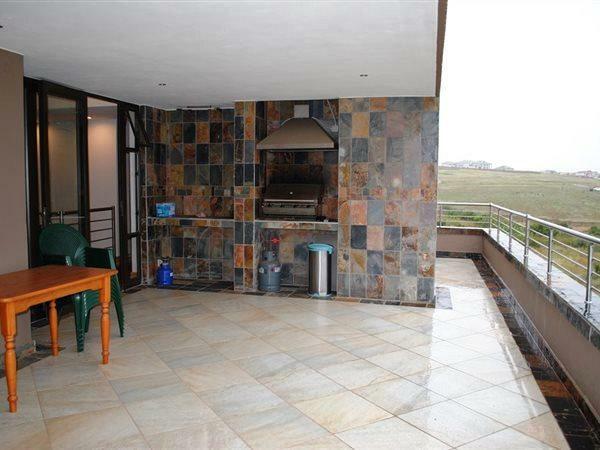 The living area and kitchen opens up to the balcony, complete with a chad-o-chef gas braai and extractor. The open plan area is perfect for entertaining friends and family. The balcony also has specified space for 4 speakers and has dstv point. The guest/study room also opens to the balcony for easy access. 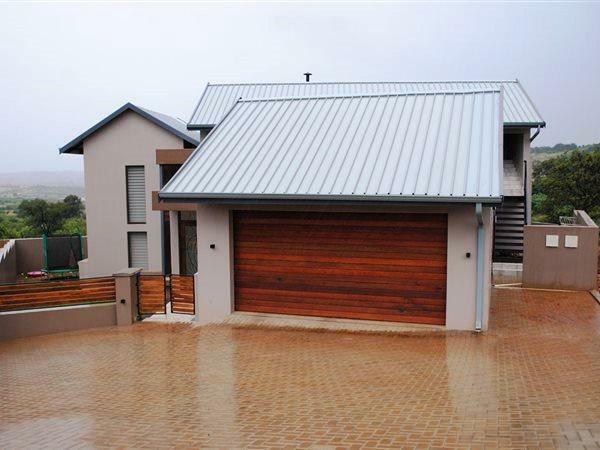 Additional storage facilities built outside and a larger garage, with attic trusses to allow maximum storage. The finishes are on the high end finishes. The house was designed for solar panels and rain water harvesting, gray water, water storage and in mind. Be the first to make this stunning property yours!